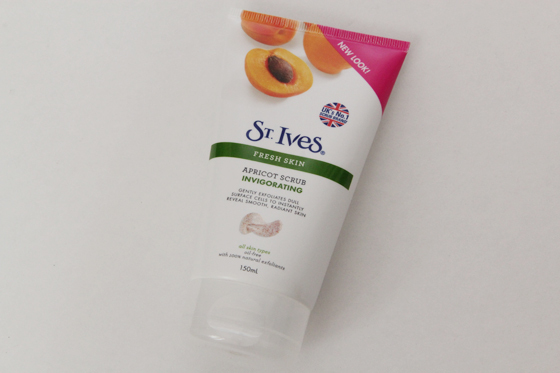 St.Ives Apricot Scrub is my all time favourite facial scrub. Using a scrub is very important in my skincare routine. It always makes my skin feel very soft and clean. I mostly reach for a scrub 1-2 weeks or when I want my skin to look good. I'm aware that some people have mix feelings about it, but I truly love it. 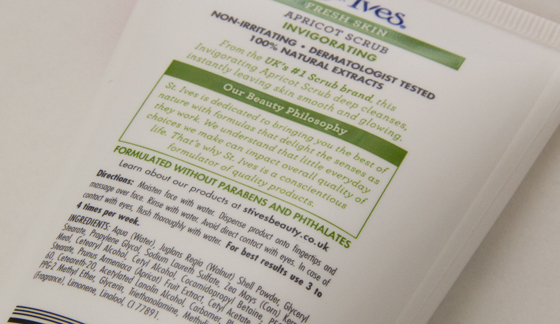 I been using St.Ives Apricot Scrub for around 3 years now and I still can't get enough of it. I really love the new packaging as it looks much more fresh. The scrubbing bits are quite large and sometimes can be harsh, if you aren't gentle with the scrub. I do have sensitive skin around my cheeks, but this scrub doesn't irritate it. The smell is also very fresh. 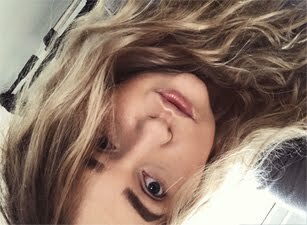 I like to focus on my nose and chin more as I have blackheads there, they won't be invisible after using the scrub, but be slightly less visible. As they have different types of the scrub I normally pick a different one each time I run out, just to work out which one works better for me, as well as I don't want my skin to get used to it. If you on a budget I strongly recommend this scrub, you can sometimes even buy it half price or get another one for free, normally Superdrug do such a great offers with this scrub. I used to swear by this but I guess trying different products over time I sort of forgot about it. Its a great scrub though as it actually feels like its exfoliating rather than some scrubs you can get whereby they have literally zero beads and feel like they are doing nothing. I've never tried anything by St. Ives but after I run out of my current facial scrub I'll be picking this up since it's more than half the price! I LOVE this scrub! Instead of repurchasing these tubes a bought this HUGE tub this time of it!